I got the word yesterday that Shelburne Sugarworks, just up the road, will be holding their first Sugar on Snow Weekend this weekend. This means watching sap get boiled into syrup, plus tours of the sugarbush, samples, and sugar on snow complete with pickle and donut. I learned this on a morning that started at 9 degrees below zero. Then I read that afternoon that the annual statewide Maple Open House Weekend is happening on March 22-23. 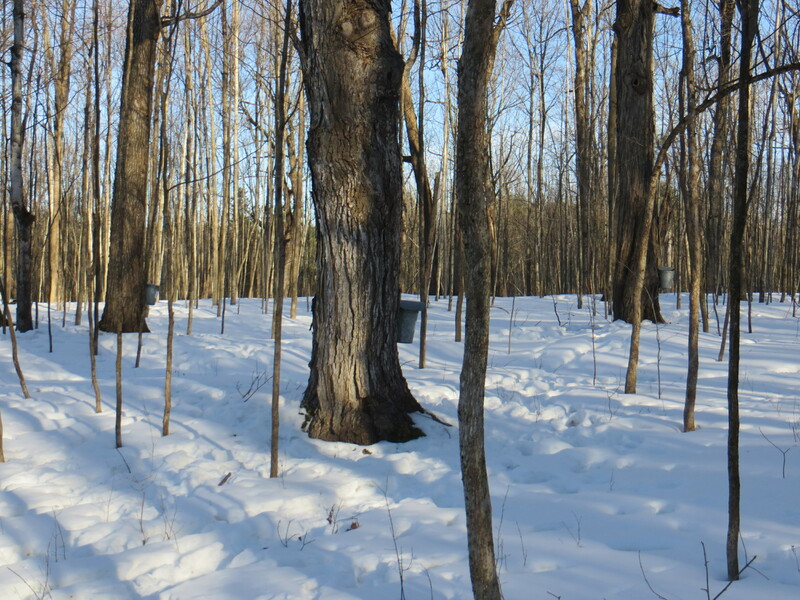 This is great weekend to see sugaring in action and to get some syrup for the year. Last year I bought two gallons from Shelburne Sugarworks. It was not at all enough. We supplemented that throughout the year with over a gallon from other local sugar makers. This year we may need to stock up more earlier. In past years we also have attended the open house at Shelburne Farms on this weekend. They have a pancake breakfast and, well, the whole awesome farm to check out. 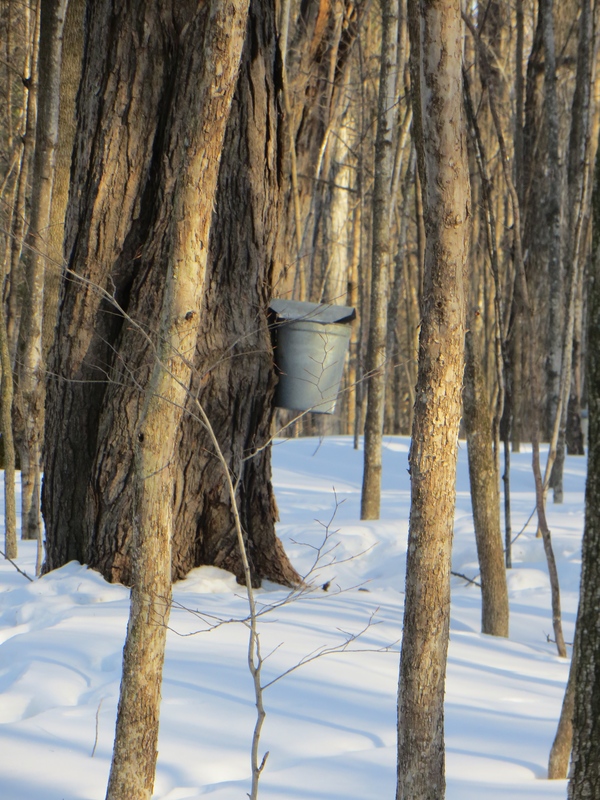 It was hard to believe yesterday that spring is close enough that sap will be running soon. We had several nights of below-zero temperatures. The snow is crusted right over. The wind has been blowing the loose snow into drifts. It has been downright wintry. Then today I left work and it felt sort of warm outside. The thermometer in the car read 32. Almost springlike? I took a short walk after hanging out and sitting all day, at Wheeler Park in South Burlington. It was an easy walk on the packed snow, across a field and then into the woods. The cedars were thick at one point and then just ended with an abrupt transition into a hardwood stand, with a mix of young and old trees. Hanging on the larger maples were galvanized sap buckets. Someone clearly is anticipating some thawing. The sap run requires nights below freezing and days above freezing. There could be some sap running this weekend. Spring might not be far off after all. This entry was posted in Local, seasons, weather and tagged maple, march, open house, sap, spring, sugar, syrup, wheeler park. Bookmark the permalink. ← A Little Too Close?